Award season has arrived in Hollywood, and it's also here at Snakes & Lattes. December means it's time to announce the winners of the Snakey Awards. Every year we honour new games (or new to us games) that are big hits with our customers and our Game Gurus. Previous winners have included such games as Lords of Waterdeep, Love Letter, Word-Around, Kulami, and Word on the Street. This year we got introduced to a lot of great games, some brand new, some a little older that have finally made their way to our shelves. We have five categories to award this year: Best Party Game, Best Kids' Game, Best Co-op Game, Best Light Strategy Game, and Best Game. So, without further ado, here are the Snakey winners for 2014! 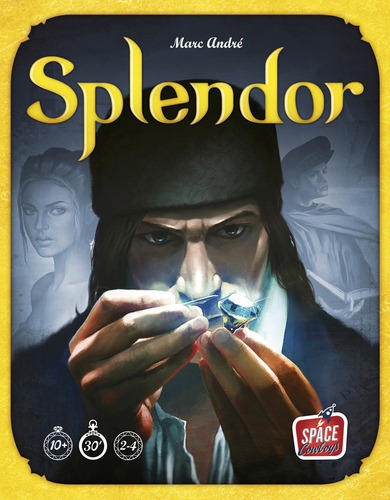 Splendor, from Marc Andre and the Space Cowboys design house, was nominated for the Spiel des Jahres this year, and many were surprised that it didn't win, including most of the Gurus at Snakes & Lattes. Splendor has quickly become a go-to gateway game for customers who are looking to open the door to the Euro-game phenomenon. With its simple mechanics and low teach time to play time ratio, it's no wonder our Gurus love it. Players are competing gem merchants, trying to earn the most prestige by getting bigger and better facilities and attracting the attention of important noble patrons. Like other SDJ candidates over the years, Splendor is a great ambassador to the hobby of gaming. Simple rules, engaging choices to make, and attractive production make this a great choice to help introduce your non-gaming friends to the world of games beyond Monopoly. And it's deep enough that the serious enthusiast will find the game engaging and rewarding. 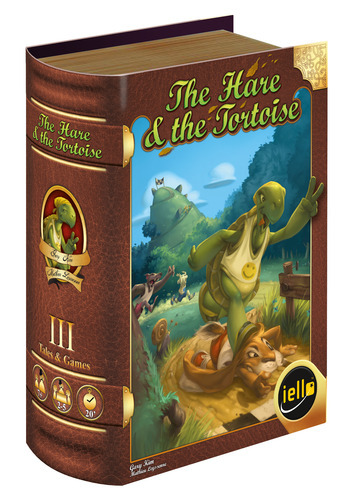 The Hare & the Tortoise is the third installment of Iello's "Tales & Games" series. Designed by Gun-Hee Kim, and originally published in 2011 under the name Royal Turtle, The Hare & the Tortoise is a great little racing game suitable for kids, but engaging enough for adults to enjoy as well. The Hare has challenged the Tortoise to a rematch of their famous race, and this time all the animals want in on the competition. Tortoise, Hare, Fox, Wolf, and Lamb all think they have what it takes to win. Who will come out on top? That is up to the players. Each player selects up to two animals to secretly back, scoring points if their animals win, or at least make it to the podium. Players take turns playing animal cards until enough have been played to trigger a running round. Each of the five animals moves based on how many cards of their type got played, modified by each animal's special rules (Tortoise moves one space even if no one played any Tortoise cards, Hare won't move if he's in the lead, etc.). It will take a number of running rounds to finish the race, and only the first three animals to cross the finish line score points. While not a new release of 2014, we did only acquire this little gem of a game this year, so it gets the nod for best party game for us this year! Buster Balloon by Fran's Rookmaaker is ridiculously simple: don't pop the balloon. Like Jenga, Buster Balloon is tense, exciting, and has one loser. Inflate a balloon and secure it in the little plastic gibbet of balloon-esplodey-containment. The cage has sockets all around it that take graduated plastic pokers. On your turn, you role the die and make that many "clicks" with the various pokers. Try not to pop it! The moment you make your first click, you will immediately have a visceral understanding of what makes this game so awesome. Matt Leacock's latest co-op design takes the Pandemic franchise to a whole new level. Beautifully produced with tons of custom dice and nicely thematic syringe trackers, the game is a tactile as well as tactical experience. Each of the different specialist roles has its own set of custom dice that allows it to do something none of the other roles can do. Both player actions and infections are controlled by rolling dice, so there is more randomness in this than in the original, but not as much as it seems at first glance. The infection dice are not true six-sided dice. They have been carefully designed so that each disease will only rear its head in specific regions of the board. The randomness of the player dice is mitigated by the fact that until a die gets used (or comes up "biohazard"), the player can roll it again and again to get the desired result. One of the things that all this dice rolling and other random elements do is mitigate the alpha-player problem present in so many co-op games. The alpha-player is the "expert" who knows what everyone's best move is, and tries to dominate the game. The random nature of the game ensures that the "best" move is much harder to pin down. 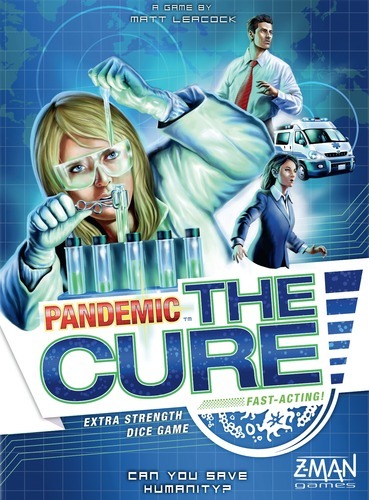 The Cure is more complicated looking to people who are unfamiliar with Pandemic, but it offers new and harder challenges that fans of the original will enjoy. Snakes & Lattes had the privilege of helping Matt playtest The Cure in its early stages of development a couple years ago and we've been eagerly awaiting its release. It did not disappoint. And the Snakey Award for our favourite game of the year goes to Plaid Hat Games' Dead of Winter by Jonathan Gilmour and Isaac Vega. There are a lot of zombie games on the market, and this one quickly rose among the ranks to become a standout favourite with the Gurus and customers at Snakes and Lattes. Dead of Winter is a cooperative game with a twist. 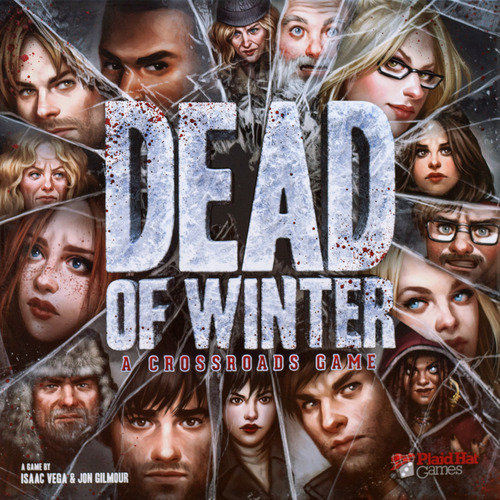 Like other "co-opetetive" games before it, Dead of Winter uses a betrayal mechanic that will keep you guessing which of your friends you can trust, and like Saboteur or Shadows Over Camelot, in Dead of Winter you never know if someone at the table actually is a betrayer or not. Each player is given a personal objective that must be achieved, while striving to also complete the group objective. Sometimes one player will have a betrayer objective, and so must work against the group. Even if you aren't the betrayer, your personal goal may be at odds with the group, and you may suffer the wrath of your fellow survivors for it. The secret objective aspect eliminates the problem of the alpha-player, because anyone who pushes too hard on a particular agenda will be seen as a possible threat. And with each player having a private goal, the only player who knows your best move is you! One aspect that has made the game so popular around here is the Crossroads Deck. It's a deck of cards that provide players with moral and situational dilemmas to face. Players never know when a Crossroads card may come up, or what effect the choices they make will have on the outcome. If you think that the true threat during a zombie apocalypse is the other survivors you have to co-operate with, then Dead of Winter is the zombie game for you. Plaid Hat recently increased their print run on Dead of Winter by a factor of ten, so there will be plenty of copies to go around! Looking for a little shopping help this holiday season? Wondering what to get for the gamer that has everything? Check out Snakes & Lattes 2014 Holiday Buying Guide. All the help you need for the gamer in your life! * Interactivity currently only for desktop browsers. Mobile support coming soon! Drag to pan! Scroll to zoom! Click a game to see its product page! Wow! Sorry, it doesn't look like your browser supports scalable vector graphics! Check out our blog post to download an image or PDF of the buying guide. There is a term in the board game hobby for games that introduce new players to the wonderful world of modern board games: gateway game. Gateway games are accessible examples of Euro-style games that are frequently used by gamers to convince their non-gamer friends and families that the modern board game movement has created a lot of interesting games that go well beyond what the average person thinks of when you say board game (“you mean like Monopoly and stuff?”). There is a sacred trinity of gateway games. Most gamers played these games early on in their gaming lives and even many non-gamers will have heard of at least one of these titles: Settlers of Catan, Carcassonne, and Ticket to Ride. Many gamers who joined the hobby ten to twenty years ago, may find that these games do not do it for them any more (although that certainly isn’t the case for all gamers – I play Ticket to Ride and Carcassonne on my tablet quite a bit), but they likely were part of their first steps into the world of gaming. And if you’re just getting into the hobby yourself, you should definitely pay these games a visit; they aren’t that complicated but they allow for a variety of play styles, and they introduce you to a variety of game mechanics that will lay the foundation for your comprehension of more challenging games down the road. The trinity are by no means the only gateway games, but they are some of the earliest modern games to achieve mainstream success. But what if you have played the gateway games? What’s next? There are a lot of steps to take between Ticket to Ride and the seriously heavy games like Agricola, Game of Thrones, or Caylus. Not everybody wants to take the journey all the way. You might find that gateway games satisfy your gaming needs completely. But then again, you may find that they don’t. You may find yourself yearning for something deeper. When you are ready to move beyond the gateway, what should you be looking for? That all depends on you. Some players will be ready to plunge right into the deep end of gaming after they've had a little exposure, but this article is not for them. This article is for you. You are unsure of what to play next; you want to avoid having a bad gaming experience or getting in over your head. One of the best ways to avoid getting out of your depths is to look for games that provide a sense of familiarity in some respect - theme, mechanics or designer can all offer a through line that will allow you to expand your comfort zone without ever leaving it. If you enjoyed Ticket to Ride, there are a number of train games you could try that will likely entertain you. Trains by Hisashi Hayashi and AEG games takes the trains on a board aspect of Ticket to Ride and pairs it with a deck building mechanic that will prepare you to play games like Dominion or Thunderstone in the future. Trains & Stations by Eric Lang and Whizkids combines train building with a push your luck dice mechanic that prepares you to play other games that ask the question: should you be happy with what you have or risk losing it to get something better? Carcassonne's tile placement and area control mechanics open the door to tons of other games. Qin, one of Reiner Knizia's recent games from Gigamic games, is a gateway game in its own right, but is also a good next step from Carcassonne because it builds on the ideas of growing the board with tiles and claiming areas of the board with your pieces and adds a more direct sense of conflict that is harder to come by in Carcassone. Another good next step from Carcassonne is Vegas Showdown from Hasbro's Avalon Hill line. It uses tile placement to build casinos but it adds an auction mechanic that will prepare you for other auction games like Ra, For Sale, and Modern Art. Jonathan, our senior Game Guru and host of the SnakesCast, says that once you've played Carcassonne, you're ready for Suburbia (which is basically like SimCity the board game) because "each player lays down their own tiles, building their own little borough with its own distinct personality." After playing The Settlers of Catan, you are prepared for any number of "modular board" games, such as Nexus Ops, Last Night on Earth, or Kulami. These are games where the board will be different every time you play and, like Settlers, you will have to adjust your strategies to adapt to that. Other games with an agricultural or colonial theme may also appeal to someone looking to go beyond Settlers. Santiago from Z-Man Games is a great agricultural game that adds auctioning and bribery to your skill set. Puerto Rico and Stone Age are both agricultural worker placement games that rely on gathering resources to build your empire. Puerto Rico has a lot more moving parts and substantially deeper strategies than Settlers, so it isn't the next step for every gamer, but it should definitely be on your radar if you've developed a taste for good Euro games. 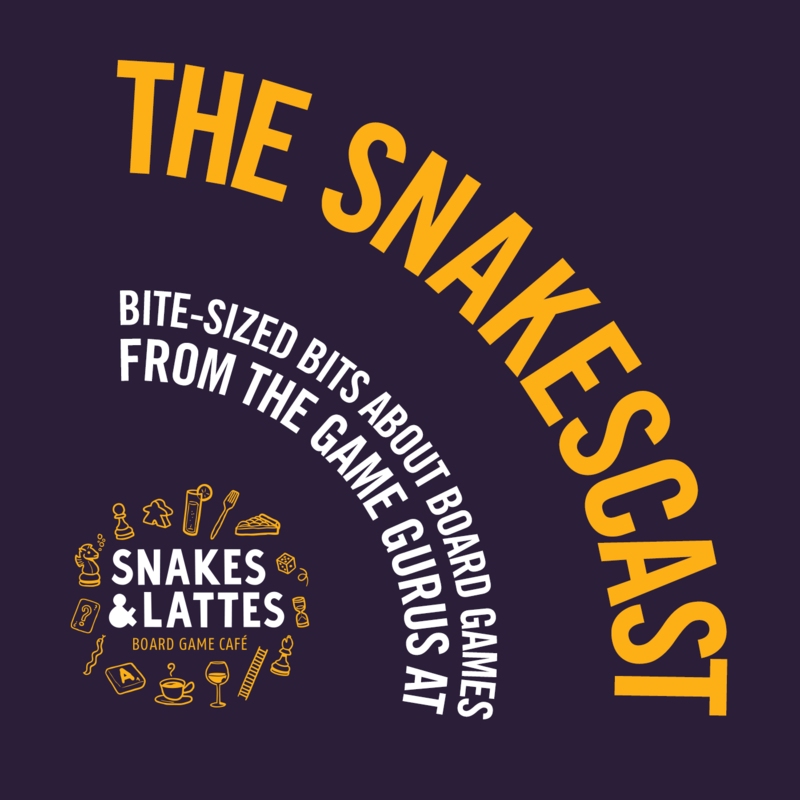 To hear Jonathan and some of our other staff talk further on the subject of Beyond the Gateway, listen to the episode of the SnakesCast of the same name.